Spring semester brings with it all the excitement of a shorter semester, warmer weather, spring break, and eventually, summer break. 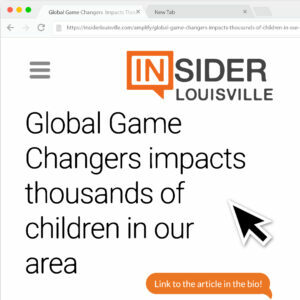 For the Global Game Changers, it also brings the excitement of wrapping up the first part of our program and beginning the second. 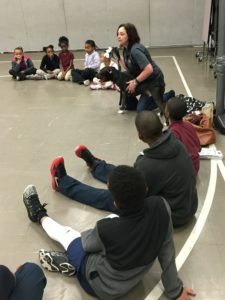 Our programs in the various YMCA Childcare Enrichment Programs in JCPS schools all over Louisville are finishing up teaching about our twelve Heart Badges, or causes that the kids can care about. Some of the more popular Badges among the kids have been the Animal Badge, the Health Badge and the Education Badge. Our programs move at their own pace so no one is at exactly the same place as the others. However, with a few exceptions, the programs have finished the Badge work and are moving on to the Service and Superpower part of our program! In this second part of the GGC program, the kids are learning to identify their talents and how they become part of their superpower equation. GGC defines a talent as something you are good at or something that you like to do. You may not be the best basketball player, but if you love to play, it is still a talent you can share with others. The GGC Superpower Equation is Your Heart + Your Talent = Your Superpower! The Equation is a crucial part of this semester’s work. This is the physical manifestation of the all of the work and learning done in the first part. Their equation can become a service project to raise funds or awareness, collect food and other items for various nonprofits like Kentucky Humane Society, or the Center for Women and Children or many other options. This semester gives the kids in our program the opportunity to create, plan, and execute their own service project that allows them to give back to their community in their own way. We have more than 26 active GGC Programs in YMCA CEP sites in the city who are all gearing up to do their projects or have already completed them. 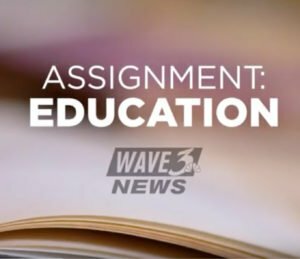 Blue Lick Elementary are collecting school items like paper, pencils, scissors, erasers and more to place into backpacks to donate to the Center for Women and Children to get ready for next year’s back to school needs. 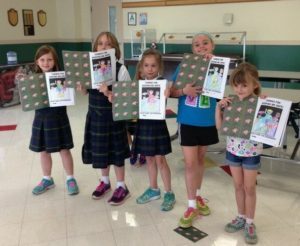 The Brown School is going in groups to help families staying in the Ronald McDonald House by cooking for them, cleaning for them and generally doing things that families’ whose children are receiving care at Kosair’s Children’s Hospital may not feel up to doing. Goldsmith Elementary created cards to give to children in Kosair’s for Valentine’s Day for their project. Coleridge-Taylor students will be beautifying their school by painting flowerpots, planting flowers and doing a general clean up of the grounds. Those are just some of the amazing things our students are doing to make a difference in the world and their communities. Stay tuned for pictures and more projects as our programs close out the school year with compassion and giving back!